the essence of tube amp breakup plus tape-type slap echo. 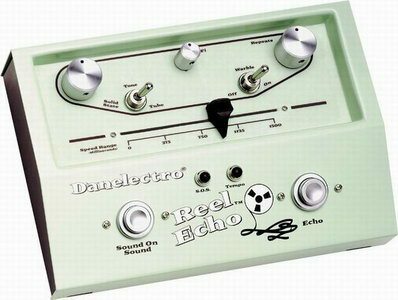 Get that vintage vibe going effortlessly with this pedal that captures the essence of tube amp breakup plus tape-type slap echo. Works great for short slap. The echo effect is tweakable with a Warble control. A pickup selector optimizes the effect to your guitar’s output. Dual outputs for stereo. Comes with road-ready die-cast case. multilevel Lead Boost and wet/dry mix controls. 4 preset EQ voicings plus independent tone control let you dial in the right degree of overdrive. Equipped with multilevel Lead Boost and wet/dry mix controls. The pickup selector lets you optimize the pedal to your axe’s output. The heavy die-cast case is built to survive rock wars. warm forward or reverse delay. Nourish your sound with up to 3 full seconds of warm forward or reverse delay. A Tap Tempo footswitch and tempo lamp help you hit the groove. A hi-cut attenuator delivers vintage lo-fi echoes. 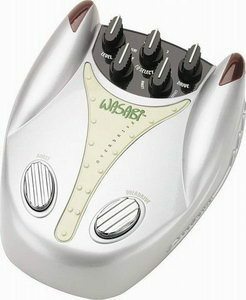 Includes a pickup selector and dual inputs for stereo. The rugged 2-lb.-plus case will hold up to abuse on the road. thick, fat distortion with nearly endless sustain. The Wasabi opens up a world of thick, fat distortion with nearly endless sustain. 4 EQ presets, separate bass and treble controls, and a multilevel Lead Boost let you dial in the precise tonality you seek. Wet/dry mix control plus a Secret Slap Echo Doubler. The pickup selector let you fine-tune the input to your guitar. The rugged die-cast case will hold up to all the rigors of the road. great shimmering waves of creamy chorus and vintage tube-amp tremolo. 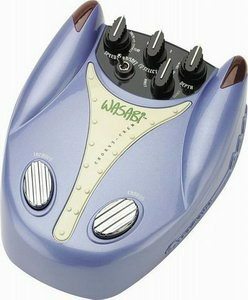 The Wasabi generates great shimmering waves of creamy chorus and vintage tube-amp tremolo that’s adjustable with speed and depth controls. A Hard/Soft Tremolo Wave Selector, 4 EQ presets, and a Wet/Dry mix control let you shape your tone 8 ways from Sunday. 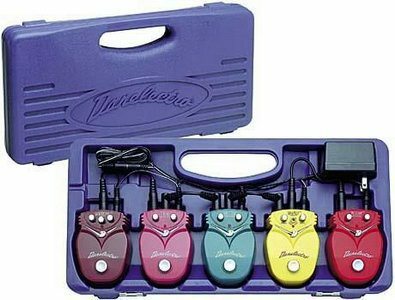 A pickup selector lets you match the pedal with your axe’s output while a second jack gives you great slabs of stereophonic effect. The hefty die-cast case will go the extra mile without worry. 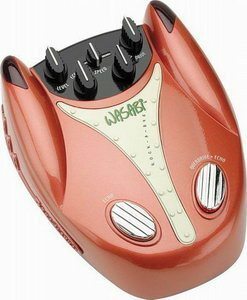 It features 3 great wah sounds — all foot switchable. Taillight status indicators tell you which sound is in use. Tough molded case holds 5 effects, and comes with all the cabling you need including a built-in power supply. You could carry your BLT, Pastrami, and your Hash Browns in a paper bag, but Danelectro’s new Mini Case is much more proper. Tough molded case holds 5 effects, and comes with all the cabling you need including a built-in power supply. When you pop the top, the bottom functions as a pedalboard. Cool. adds a Warble switch to simulate tape pitch deviations. Those ’50s tape echo units sound cool but don’t hold up. Dano simulates the sound perfectly and adds a Warble switch to simulate tape pitch deviations. A lo-fi control rolls off high frequencies of successive repeats just like tape while a Tube/Solid State toggle lets you pick your vintage. The Sound on Sound button works just like the original so you can play over the lick you just recorded. Up to 1-1/2 seconds of delay. No need for an external mic or for connecting to the back of the amp. 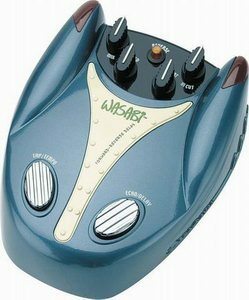 Everybody from Joe Walsh to Peter Frampton has used this fantastic effect, now you can have the same effect in a simpler, more economical form. It’s wild, it’s groovy, it’s cool, it’s so retro it hurts! 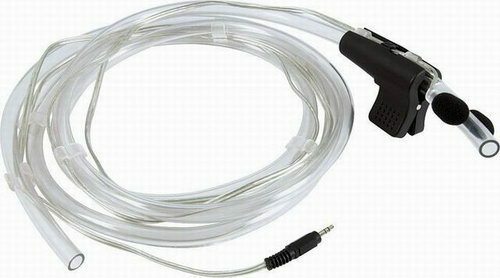 No need for an external mic or for connecting to the back of the amp. This little unit does it all. vintage distortion but with incredible tonality. The Fab Tone gives you vintage distortion but with incredible tonality. Dial in any distortion sound – old or new. Great EQ with 2 tone controls. One of the best selling pedals in the world. 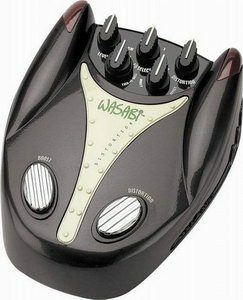 Used by top pros on many recent recordings. 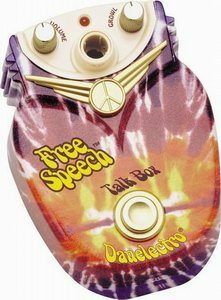 The Chicken Salad Mini Pedal is a vibrato effect that duplicates 60’s swirling speaker effects. 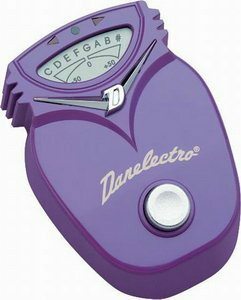 Full-featured tuner with the convenience of a pedal. 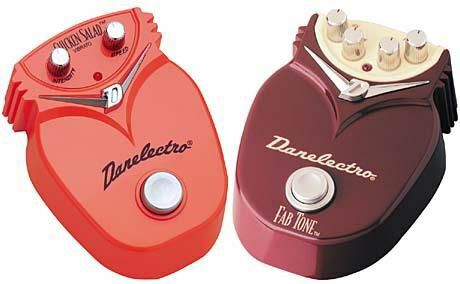 The cool retro look to match your other Dano mini pedals.